SOLD $198,000 ABSOLUTE AUCTION! 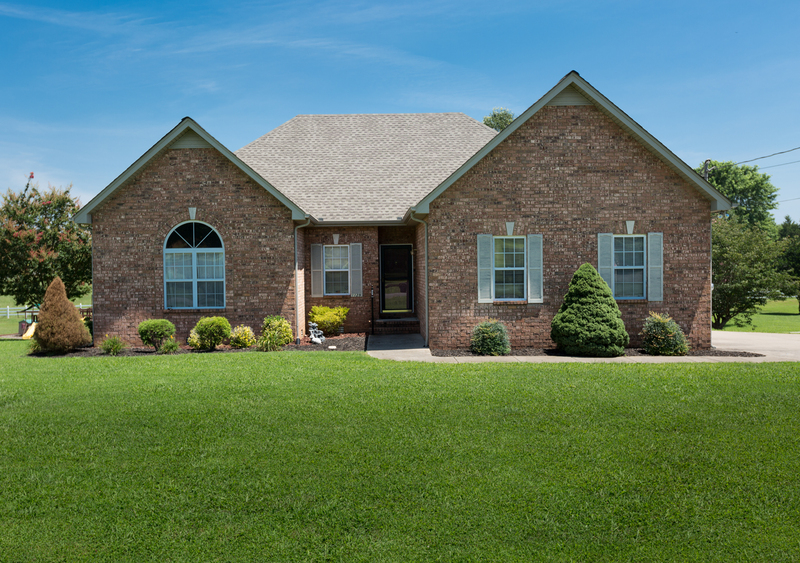 3 BR, 3 BA Brick Home & Personal Property | Middle Tennessee Real Estate :: Maples Realty & Auction Co.
Real Estate: 3 BR, 3 BA brick home with 2 car side entry garage on large county lot. Property features screened in porch, large deck, concrete driveway, and mature trees. Located on the north side of town, convenient to shopping, dining, MTSU and much more. Personal Property: Furniture: Wicker patio furniture, four person patio table and chairs, bakers rack , cherry coffee table, cherry end tables, 2 loveseats, twin beds, one full bed bedroom suit, rocking chairs, bookshelves and furniture by J. B. Van Sciver Furniture Co. made in Camden, NJ in the late 1940’s and 1950’s. Housewares: Picture frame, lamps, plates, dishes, toaster oven, electric heaters, wicker baskets, glass figurines, fans, mirrors, cookware, Oregon pictures, paintings, Christmas decorations and wreaths, and homemade quilts. Tools: Hand tools, weed eaters, shop vac, electric chainsaw, gas cans, sawhorses, step ladders, sprayers, blower, air tank, Craftsman electric edger, wheel barrel, fertilizer spreader, and pump. Appliances: Stand up freezer, window air-conditioning units, and vacuum cleaner. Miscellaneous: TV’s, Samsung flat screen TV, DVD player, bicycles, water skis, puzzles, games, dolls, DVD’s, tapes, books, art supplies, easel, exercise bike, vinyl records, footstools, garden hoses, birdbaths, dartboard, TV stands, extension cords, paint supplies, and much more. Directions: From Murfreesboro, take Hwy 96 East and turn left on Compton Road, right on Lakebrook Drive, right on Lakes Edge Drive. The property is on the left. When I click on to see more photos, I am given a 403 error. I can’t figure out why you are getting that error. I’ve tested the link on my iPhone, apple laptop, and on Windows at work. It’s working fine for me. What device are you using. I had this problem a while back with someone that had an older phone. I used google chrome and explorer to search the web. What are you searching from. I’m sorry you are having problems viewing the pictures.